Almost up to the time of the American Revolution, Lenox residents probably would have been satisfied that they could have the rights of self government to which they were accustomed and be loyal subjects of King George III. However, from the end of the French and Indian Wars to the Revolution decision making at the local and colony level was -step by step – taken away. Eventually, the cumulative sense of loss of control over their own destinies moved even ordinary citizens to be willing to fight for a change in government. 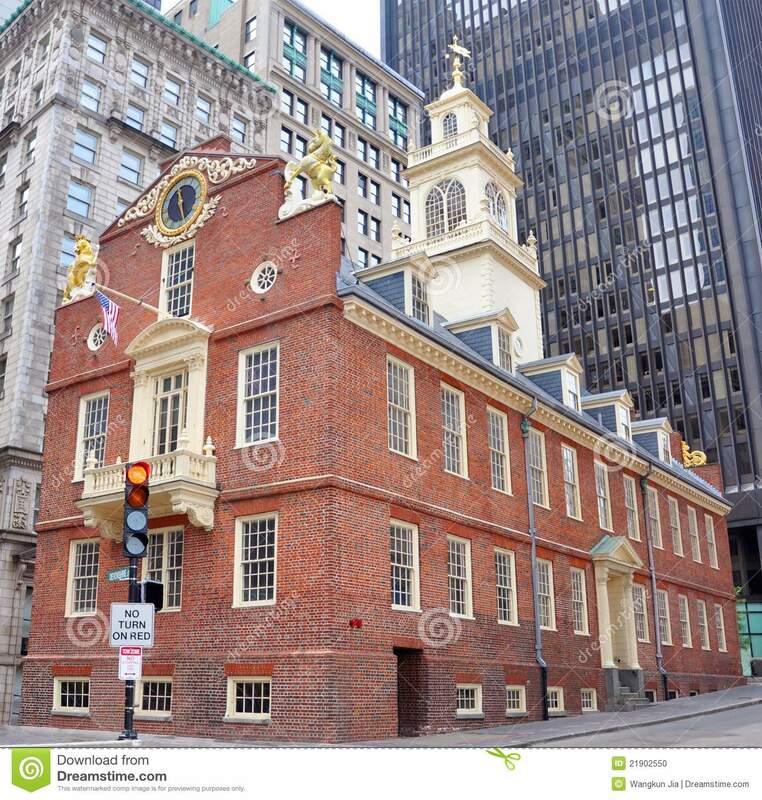 The governmental structure of Massachusetts had changed considerably since the early Puritan self-government compacts. By the 18th century Massachusetts, like many of the other colonies, had an appointed royal governor. That governor had the right to veto acts of the colony’s General Court, as did the king. 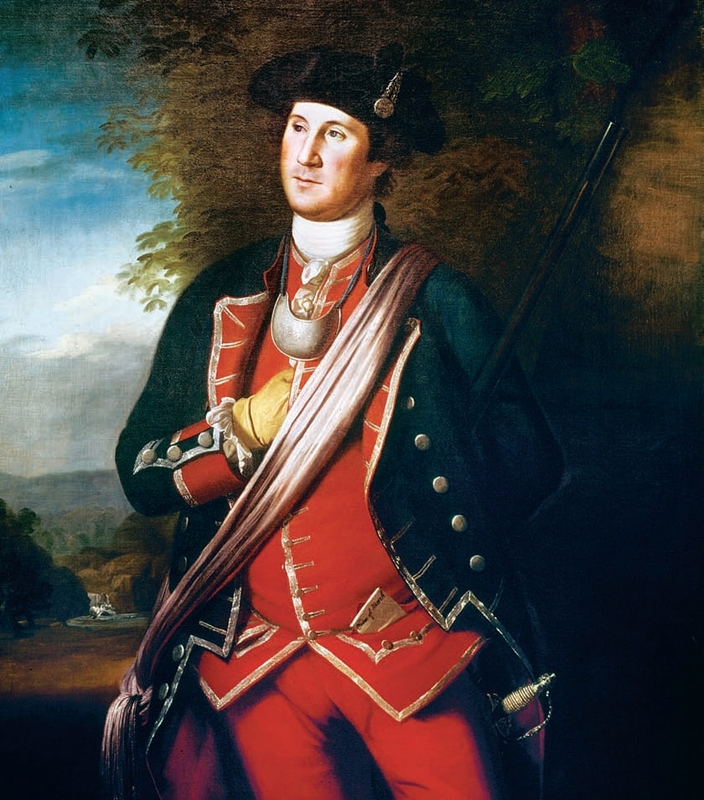 The governor was the commander-in-chief of the militia and appointed all military officials; he had the right to summon and adjourn the General Court. The rest of the government consisted of a 28 member Council selected by the House of Representatives and a House of Representatives consisting of Freemen (e.g. property owners) elected from towns across the colony. The General Court appointed officers, passed laws and orders, organized all courts, established fines and punishments, and levied taxes, all with the consent of the governor. The House alone controlled the salaries of the governor and judicial officers. The elected arms of the government had more power than this description of the charter suggests since they controlled appointments, land distribution, the salaries of the governor and judicial officers and could veto orders of the governor (although they rarely did). In addition, as Englishmen, the colonists believed they had the right to pay only the taxes they had agreed to. John Paterson was a representative from Lenox to the House of Representatives at the time of the Revolution. 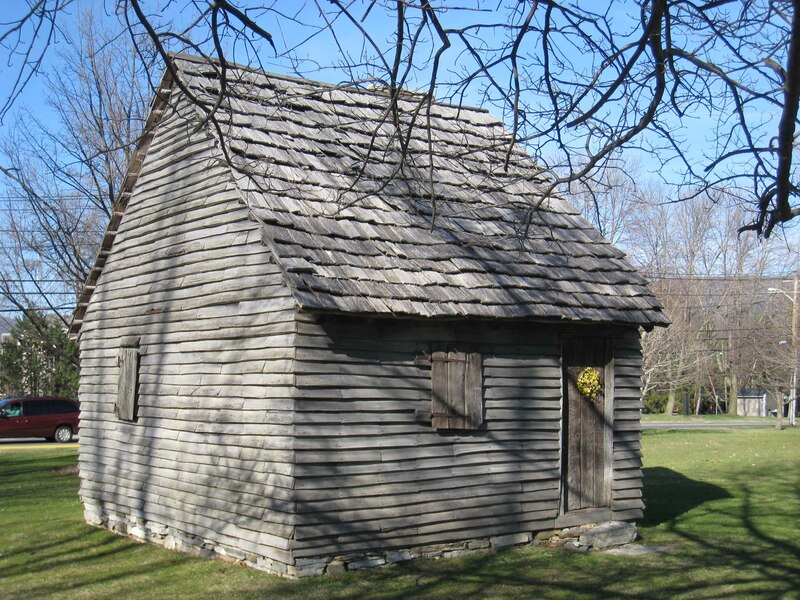 Congregational management – the Congregational Church (the descendent of the original Puritan Church) was still supported by local taxes; the members of the local Church worked together to organize construction of a meeting house and calling a minister. 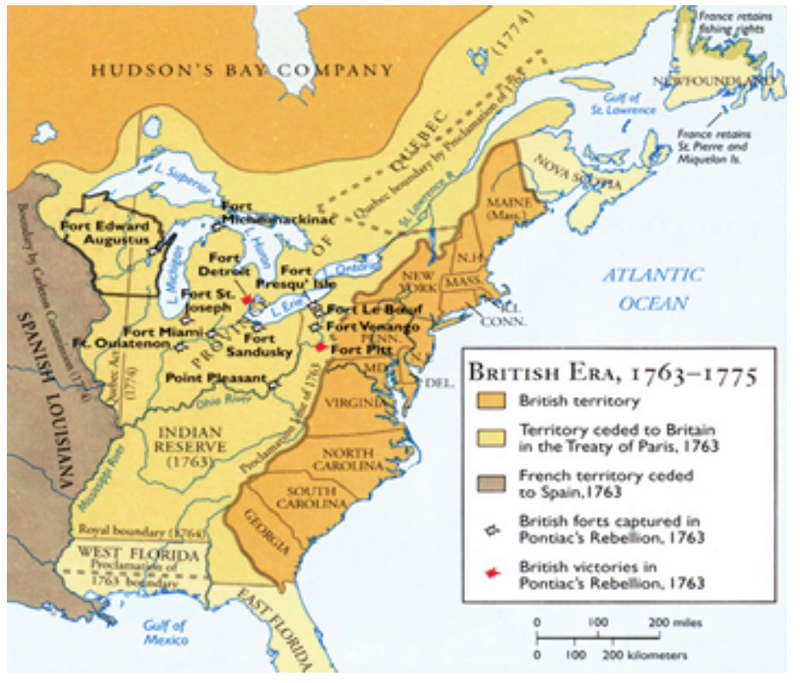 As we have discussed, the end of the French and Indian War and the ascendency of King George III, touched off a flurry of attempts to bring North America more firmly into the imperial fold. The economic impact of actions is discussed in the entry on Economic Causes of the Revolutionary War. However, the various actions taken by Parliament from the end of the French and Indian War to the Revolution, also had the effect of political clamp down. First, there was the issue of enforcement. Prior to the 1760’s there had been duties on molasses and restrictions on who the colonists could trade with. However, with the help of a little bribery of customs officials, these duties and restrictions had not been strictly enforced. Beginning with a new Sugar Act in 1764 that changed and enforcement became confrontational with colonial merchant ships being stopped and searched. This became an even more visible interference with colonial prerogatives with the imposition of additional duties in the Townshend Acts of 1767. Prohibited any Massachusetts town meetings other than one annual town meeting. 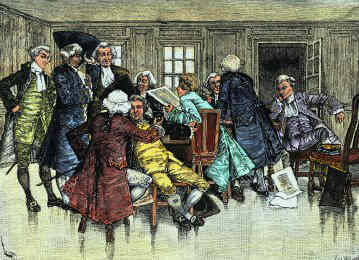 The “Intolerable Acts” were intended as a punishment for the Boston Tea Party in 1773. But instead of creating the desired obedience, these Acts touched off colonial unity in the form of the first Continental Congress, Committees of Correspondence, Non-importation agreements and general preparation for revolt. Note: add info on 1766 Declaratory Act — no law that does not conform to laws passed by Parliament?? Because records are limited for early Lenox, we probably will not be able to draw conclusions about why Lenox in particular took up the cause of independence from Great Britain. However, we can look at the issues that energized the colonies as a whole and guess which would have been most relevant to Lenox residents in the period leading up to 1775. It’s doubtful that the few hundred Lenox residents would have articulated economic policy as a rationale for war, but it is very likely they were feeling the effects of Great Britain’s increasingly heavy-handed attempts to make the colonies profitable for the mother country. They struggled to acquire enough cash to pay taxes, pay debts, and buy English goods. They probably were acutely aware of growing pocketbook pain, and they knew it somehow was connected with the control distant lords of commerce seemed to be exerting over their daily economic lives. Particularly after the French and Indian Wars, it was getting harder to satisfy household needs in the Berkshires. it is estimated it took 50 acres to support a family and the land available was increasingly marginal (particularly in Lenox!). It has also been etimated that it took an acre of trees a year to heat a household. In early days, that probably would have been hard work but doable in Lenox, but families would have had to go further and further to find wood and eventually would have to resort to the purchase of wood or coal. To the degree Lenox farmers could raise livestock or cut wood to sell for the hard currency needed they would have to face the additional challenge of getting to their goods to relatively inaccessible cash markets (Springfield? Albany?). In these early days of international trade the English came to excel at the practice of mercantilism. This meant protecting domestic industry and agriculture by charging duties on goods manufactured by any other country – making everyone else’s goods more expensive. If, like Great Britain, you have colonies even better – you can pay them a low price for raw materials and force them to buy your higher priced goods. This was accomplished by requiring that all goods from the colonies be shipped to or through England – effectively eliminating the opportunity to shop internationally for the highest bidder. Also, if you’re England, you can choose to require the use of money backed by gold and silver to pay for land, repay debts and buy manufactured goods. If you’re the colony, you have to get that “hard” English currency by trading with other English colonies (including the West Indies) or hoarding what little hard currency you have by making as many exchanges as possible by using commodities. 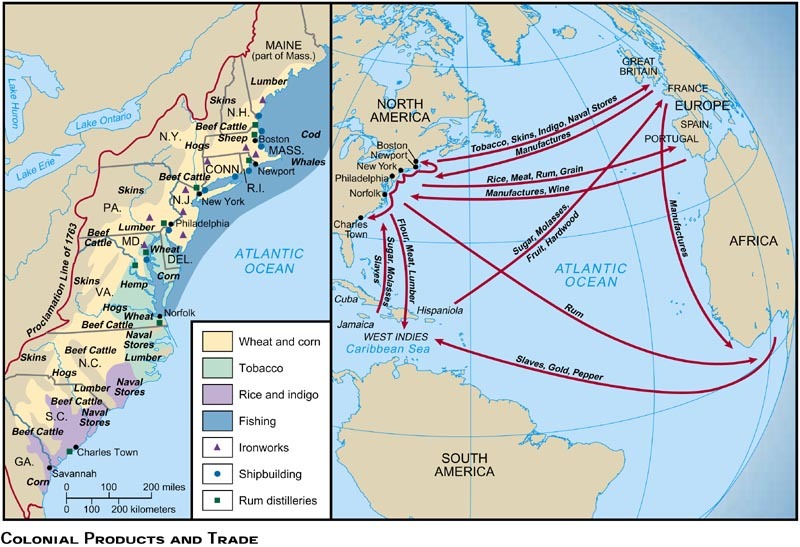 The clever colonists figured out how to acquire much needed hard currency by transporting slaves to the West Indies and the North American colonies, converting West Indian sugar to run and selling the rum and other raw materials to Great Britain or the English Carribean colonies. (More on this when we discuss the growth of slavery in the northern colonies.) They also started building their own ships. The earliest attempt at colonial economic management was with the Navigation Acts of 1651 which required all goods that entered England be carried on English or Colonial ships. In 1660 further acts specified certain goods that colonies could only ship to England. In 1675 The Lords of Trade were established in an early attempt to enforce these laws. In the 17th century the royal succession was still pre-occupying Great Britain and the colonists were able to largely ignore any trade limitations that didn’t serve their purposes. However, over the course of the 18th century, colonial demand for goods imported from England or the southern colonies such as tea and sugar as well as manufactured items — particularly books, cloth, china, and fine metal goods picked up. Increased enforcement of trade laws and increased colonial demand doomed the colonies to constantly racing to keep up. 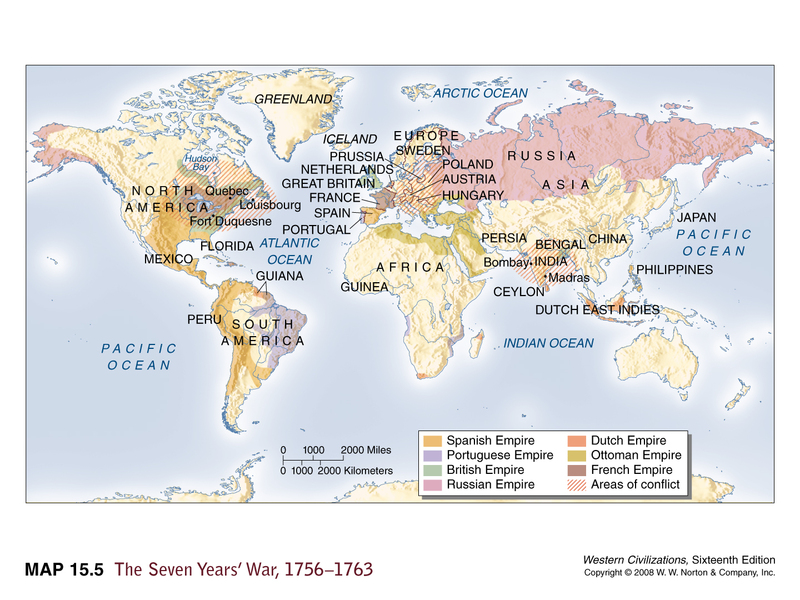 And it left the colonies with few alternatives when demand for their trade goods and services cycled up and then down. The French and Indian wars – particularly the last – interrupted trade and inflated prices as demand spiked to feed, cloth, and house the military; and when the war ended the colonists suddenly had less demand for their goods. Seavoy, Ronald (2013-10-18). An Economic History of the United States: From 1607 to the Present (p. 65). Taylor and Francis. Kindle Edition. 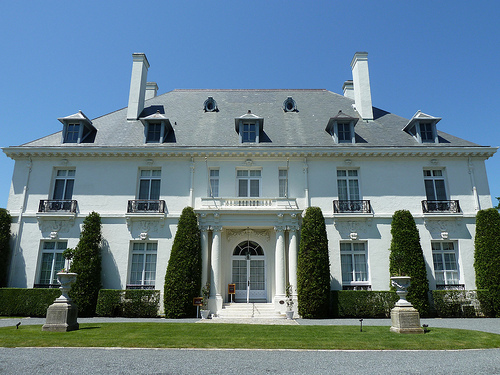 Newport and Lenox had shared families, architects and roles in the Gilded Age. They also differed in several important ways that had impact on their future. 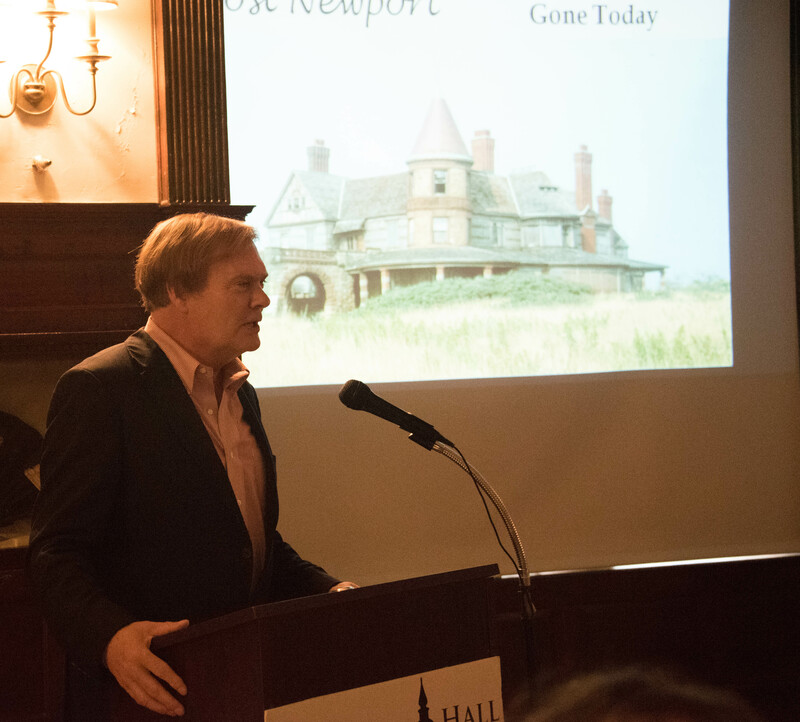 We were fortunate to have had the two Gilded Age resorts compared in a June 2, 2015, lecture by Paul Miller at Ventfort Hall. Some families had homes in both places. For instance, Samuel Gray Ward (1817-1907) first built a home in Lenox (Highwood – considered one of the first cottages) in 1844 then a home in Newport in 1850. His Newport property was later sold to Edith Wharton. 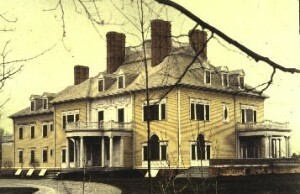 * One of the demolished Newport houses Mr. Miller described, Pen Craig, had been built by Mr. and Mrs. George Jones, Edith Jones Wharton’s parents. 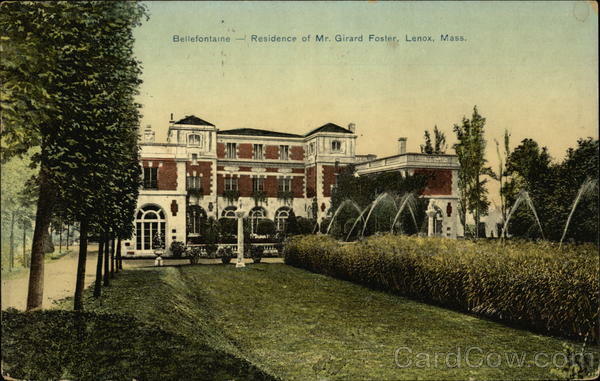 Mrs. Giraud Foster’s (Lenox’s Bellefontaine) sister had a home in Newport and the two families often spent summers in Newport and fall in Lenox. 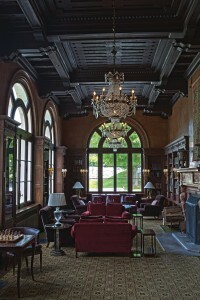 And there were, of course, the ubiquitous Gilded Age Vanderbilt and Astor relatives in both places as well as other resort towns..Bar Harbor, Adirondacks, etc. Here are just a few examples of the shared Lenox-Newport talent pool. Anna Van Nest Gambrel (1865-1927) used Carrere and Hastings, as did did her sister Mrs. Foster for Bellefontaine in Lenox. The sisters also used the same interior decorator, Jules Allard (died 1907), the most celebrated interior “decorateur” of America’s Gilded Age. Frequent Newport architect Charles McKim (later partnered with Sanford White) courted and married his client, Julia Amory Appleton (1859-1887) for whom he designed Homestead in Lenox, a leading example of the Colonial Revival style of architecture. Edith Wharton’s friend and initial collaborator on The Mount, Ogden Codman, designed (now demolished) Villa Rosa in Newport. Unlike Lenox, which remained a frontier town until 1767 and never became a major commercial center, Newport was settled as early as 1636 and becme a thriving port city. It’s path from Colonial port to wealthy watering hole was quite different from Lenox’s path from county seat to Gilded Age resort. 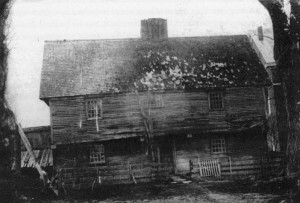 Newport suffered decline after the Revolution because it had been occupied by the British from 1776 to 1779, and over half of the town’s population fled. This occupation had done irreparable damage to Newport’s economy. In the early 19th century the city was forced to re-invent itself. Newport had been bypassed by industrialization and its landscape became frozen in time. Ironically, this became an asset for the town as it transformed itself into a summer resort. The large tracts of farmland in Lenox, which also had been largely bypassed by major development, were very attractive to the wealthy cottagers. In contrast, Newport was already somewhat “suburbanized” and many of its luxurious mansions were built on smaller lots than their Lenox counterparts. Like Lenox and the General Electric employees who enjoyed living here, Newport had a major employer who left in the 1970’s — forcing the town to re-think itself once again. 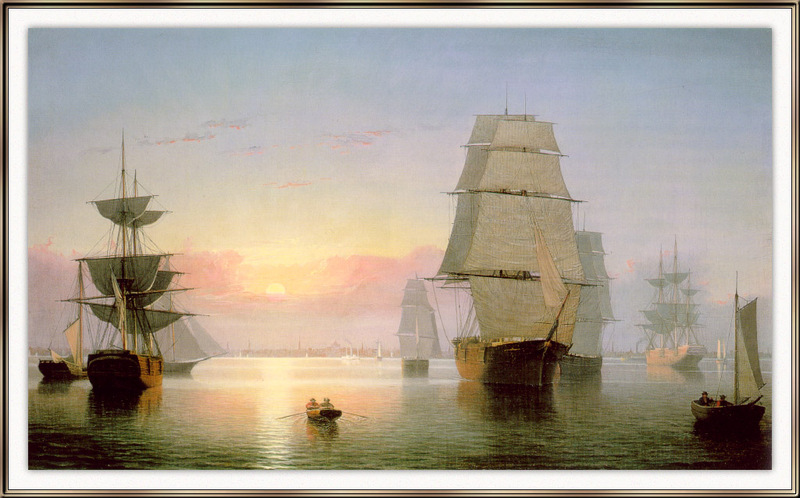 The US Navy had had major facilities in Newport beginning after the Civil War. By World War I, estates and resorts on Aquidneck Island were being replaced by Navy facilities and mansions were torn down to make way for housing developments. Like Lenox, many of the mansions that survived to the mid 20th century were converted for use by schools or other institutions. 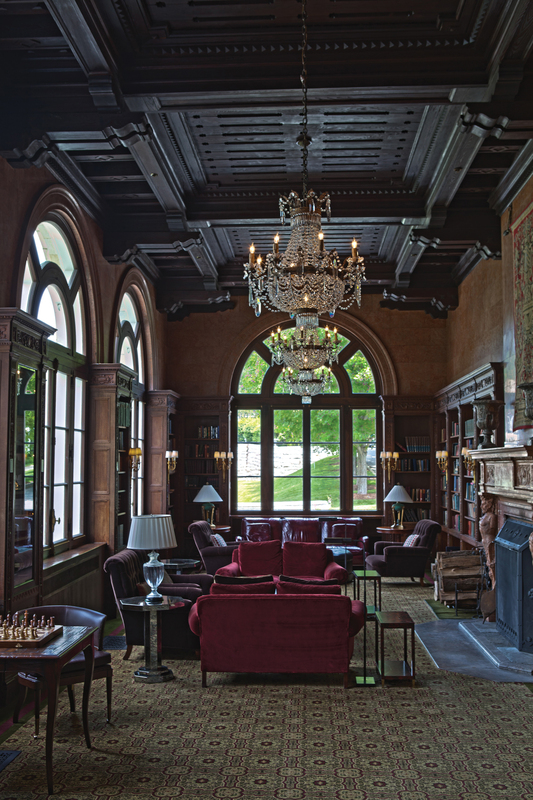 While Lenox’s re-invention as a tourist destination seems to have been built on cultural events (Tanglewood) and open land, Newport’s is primarily based on history and ocean recreation. After World War II, one of the most successful historic preservation movements in the country saved hundreds of structures throughout Newport County. That effort began in the 1840s when George Champlin Mason fought to save Trinity Church. 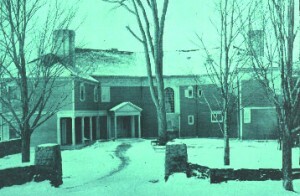 He helped found the Newport Historical Society, which preserved the Seventh Day Baptist Meeting House in 1884, and later acquired and restored the Wanton-Lyman-Hazard House, and the Great Friends Meeting House. Other groups who have taken the preservation movement to heroic levels include the Preservation Society of Newport County, the Newport Restoration Foundation, and several grassroots organizations such as Operation Clapboard. With the success of the preservation movement, Newport began to recover from the economic downturn that came when the destroyer fleet was pulled out of Newport. A new kind of tourism – now referred to as “Heritage Tourism”- began to develop slowly. Visitors to Newport now come to learn about the area’s remarkable history as well as to enjoy the beauty of the ocean. Professor of History Emeritus John Demos is also a Bidwell House Board Member. He is Winner of the Bancroft Prize and the Francis Parkman Prize. 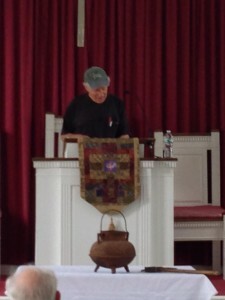 Yale Emeritus Professor of History John Demos explored gender relations in colonial America at a Bidwell House lecture June 20, 2015. He discussed how male-female difference was understood at the time and what that meant for everyday life. A video of the talk is available on You Tube — Lenox History. Throughout the talk John emphasized. that the Colonial period covered more than 150 years and that roles evolved over time. In the Colonial era women were largely defined by what they lacked – powers of reason and moral discipline (fear of witches in its most primitive form). Only about 30% of women were literate vs. 60-70% of men and it was women’s role to receive guidance from men — even as to child rearing. The male-female dependency of Colonial household in early New England is demonstrated by the high marriage rate – there were almost no single person households in that era. There were fewer females than males but the imbalance was less than it had been in the south. As a frontier society, there would have been more need for everyone to pitch in to survive and it is likely New England females enjoyed more status than their counterparts in the mother country. By the 19th century women had become more the rearers of children and had become more instrumental in administration of the church. Literacy among women probably had improved by this time and many women were involved in home education. Increasingly men were out of the home for work and women ran the household. Men and women started to have more distinct and separate spheres of influence. We have not yet found first person accounts of what greeted the early settlers (say 1750’s) but we can make some educated guesses based on accounts from similar settlements. The Berkshires, particularly in the Lenox area, had been used more for hunting than cultivation by the Indians, so there would not, as there had been in the eastern part of the state, have been any prior clearing. Most land would have been heavily wooded with original growth forest and probably thick with underbrush. Without clearing, food was limited to hunting and gathering. Initial clearing was generally done by girdling the trees, felling them and letting the stumps die off. While the land was still full of stumps, it would have been difficult to grow wheat or other European crops. Probably, therefore, initial agriculture would have been to grow native plants such as corn, beans and pumpkins and raise livestock that could live by foraging – such as pigs and goats. This would have been so much work that the settler probably would have cleared a couple of acres one year, then a few more the next. Obviously meadowland or previously cleared land was at a premium. Reportedly, by 1800, the land was bare of trees! Timber was potentially a cash crop. It could be sold for planing into planks, for ship masts, for pitch or for fuel. However, it’s not clear that there was, in the earliest days, a way to get raw logs to market. Felled trees may have just been used to build rudimentary log shelters and for fuel. One source* reports it took an acre of timber to heat a family for a year! Accounts of initial settlement of Sheffield and Pittsfield report individuals coming to clear their lots on paths that could barely accommodate one person or horse single file. In that condition any goods (from farm tools, to nails, to blankets and clothing) would have to have been carried in on the back of a horse or a man. Enough improvement in roads to accommodate an ox cart would have allowed settlers to bring in goods made nearby such as nails, planed planks, tools and ground corn. Goods manufactured outside of the rural Berkshires – such as bricks, cloth, guns, glass, books and paper – would have to have been moved from a port city; perhaps up the Hudson and then over and up from the road through Great Barrington? It is not yet clear what roads might have been available. Early plot plans for Mt. Epraim/Yokuntown show some county roads (presumably these could have accommodated carts or other means of hauling goods), but we have not yet found a date for when these roads would have been cleared. The county roads (whenever they were put in) appear to have connected Sheffield, Great Barrington, Stockbridge and Poontusuck (Pittsfield) – much as Route 7 does today. The settlers might or might not have had oxen or other work animals. Horses were generally a luxury for the wealthy and many farmers would have had to borrow (in return for some other bartered favor or crops) the use of farm animals to haul goods and break the soil. Cattle and sheep would become important sources for both sustenance and sale. But in the early days, foraging animals such as goats or pigs would have been most common. They probably would have been driven in from of the walking or riding settlers and allowed to wander freely (with notched ears or other markers of ownership). Setting up mills for planing logs, forging iron, and grinding corn and other grains would have been a priority. Maps from the 1790’s show several mills in Lenox. Until mills became available, settlers would have had to transport raw materials to Stockbridge or other towns settled earlier to have them worked. Initial houses would have been windowless and rudimentary, perhaps with only one room initially with a fire place that would have to double for light, heat and cooking. There may have been a loft for sleeping and generally a dirt floor. Settlers would have upgraded to frame houses with stone foundations as soon as they could, but often the original log house would stand into the 19th century. As the children and grandchildren of early settlers of Westfield, Sheffield and western Connecticut, the Lenox settlers would have known what they had to do to make corn meal, hunt for game, find wild berries and herbs, and slaughter and smoke their meat. Their parents or grandparents would have created similar shelters for the first phase of their housing. They probably would have had a treasured metal pot and metal crane for cooking, melting ice, etc. Settlers would upgrade housing, crops and livestock as quickly as money or more readily available resources permitted. -Major territories in North America would change hands leaving most of North America East of the Mississippi in English hands. By the 1750’s many Colonial families would have been away from Great Britain and used to managing their own affairs for 120 years and had developed their own distinct code of conduct. Troops, navy, and other overt manifestations of kingly authority had been absent in prior fighting. -Great Britain tried to recoup the considerable cost of the war in North America with a series of initiatives that would be among the causes of the Revolution (Stamp Act, Townsend Act., etc). By this time English colonists numbered about 1.5MM, French only 75,000 heavily concentrated along the St Lawrence, Nonetheless, the war went badly for the British at first (see James Fenimore Cooper’s Last of the Mohicans for a famous fictional account of the ravaging of Fort William Henry on Lake George) due to the effectiveness of France’s Indian allies and poor leadership on the part of Great Britain. With renewed commitment to the colonies from Prime Minister Pitt and an able commander in Jeffrey Amherst, the situation turned around and the British conquered Quebec. 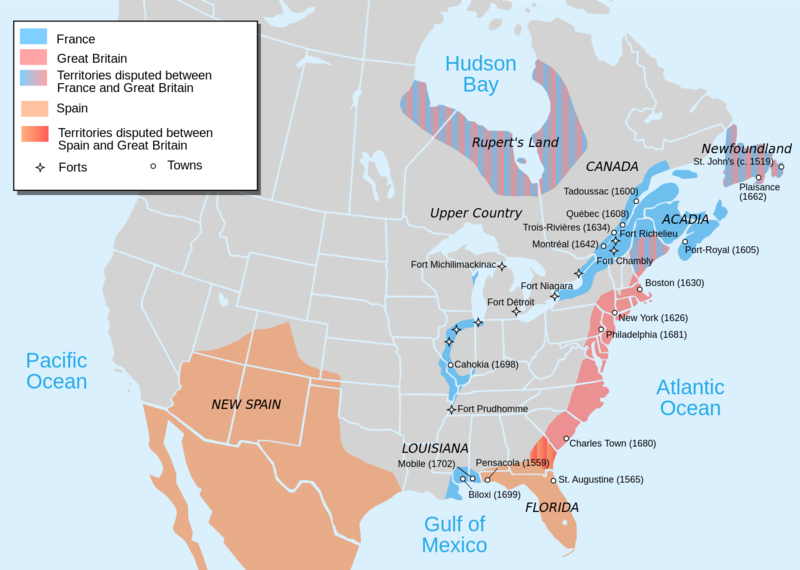 In final treaties, the British won Canada and most of what would become the United States East of the Mississippi (which was, given the value of the sugar trade at the time, considered of equal value with Guadalupe and Martinique). Many of the colonies felt entitled to land with an indeterminate western border and were miffed that the Ohio valley was forbidden to them and was to be held as a reserve for the Indians. -It was not a modern war in the sense of impacting the majority of the population; however, it effected New England and continued to retard settlement. Upstate New York and the borders of Northern New England were again fighting locations. Massachusetts colonists led an effort to successfully capture Louisburg (which guarded entrance to the St. Lawrence). However, in the treaty negotiations that ended the war, Great Britain returned Louisburg to the French in return for Madras in India. The Berkshire towns that were beginning to be settled (i.e. Sheffield and Stockbridge) would have called for their citizens to both defend their towns and come to the aid of nearby towns that were attacked. The war had cost the lives of 8% of the Massachusetts adult male population and the victories they achieved (with little help from the mother country) added to their sense of identity and interests independent of Great Britain. The French and their Indian allies raided and destroyed Saratoga and attacked other New York settlements playing into the English colonists’ stereotypical fear of Indians despite the fact that the Mohawks remained steadfastly loyal. In Europe, this conflict was known as the “War of the Spanish Succession,” and was, as the name suggests a balance of power struggle between England (and others) vs. France and Spain. The North American theatre of operations had expanded with both French and Spanish territories involved vs. the English. In the northeast, it took the form of continued raids and counterattacks. 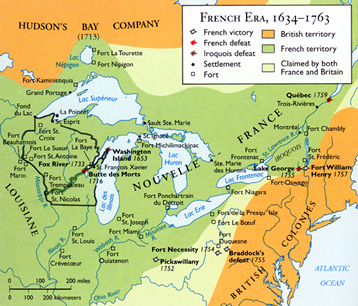 The borders between New France and the northeastern English colonies were not well defined, were thinly settled and formed the main location of conflict. The English and French had very different approaches to colonization. New France was initially populated by single men under the direct control of the King and was focused on the fur trade and converting the Indians. Soldiers and roving fur traders still formed a high % of the population. The smaller French population was very thinly spread – mostly along the St. Lawrence. The French and the English each had Indian alliances and used the Indians as mercenaries. Although the raids were fairly isolated they spread the kind of fear terrorists do today. Between the fierceness of these mercenaries, the competition for the northeastern fur trade, and the growing population imbalance, the French and English colonies were beginning, with Queen Anne’s War, to seek opportunities to permanently control the continent. The most famous New England event in this war was the February 29, 1704 raid on Deerfield. Called the Deerfield Massacre, the raid was typical of all of the 18th century raids on New England in that it was led by a French officer, Jean Baptiste Hertel de Rouville, but primarily carried out by up to 300 Indians from a variety of nearby tribes. (some of whom had formerly occupied the land purchased -at a very low price- by the English. These enemies would raid and then disperse. Nonetheless, the fear was warranted. Despite a timely warning that allowed many of the town’s residents to gather in a fortified home, 40% of the village houses were destroyed, 56 villagers were killed and 109 were taken captive. 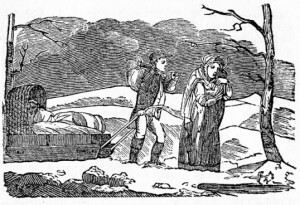 The captives were forced to trek (in February) to an Indian camp outside of modern-day Montreal. 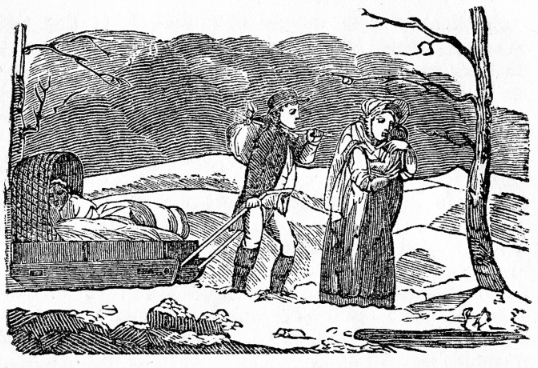 This was the second time Deerfield had been raided – see “King Phillip’s War.”As you might imagine, word of this the horror of this horrendous experience spread far and wide and mightily discouraged settlement in areas that would be difficult to defend. Since the Spanish were also involved in this war and English colonists from Carolina attacked Florida. They did not succeed in capturing the Spanish territory, but did manage to destroy most of the Indian population and wipe out the Spanish mission system in Florida. 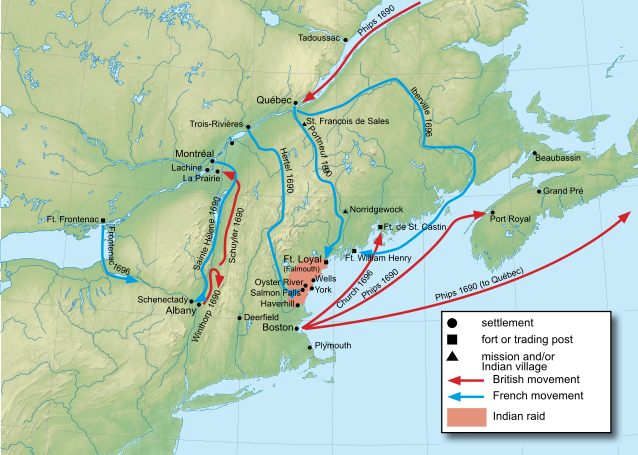 The English colonies of New England fought with French and Indian forces based in Acadia and Canada. Quebec City was repeatedly targeted (but never successfully reached) by British expeditions, and the Acadian capital Port Royal was taken in 1710. The French and Wabanaki Confederacy sought to thwart New England expansion into Acadia, whose border New France defined as the Kennebec River in southern Maine. On Newfoundland, English colonists based at St. John’s disputed control of the island with the French based at Plaisance. Most of the conflict consisted of economically destructive raids against the other side’s settlements. The French successfully captured St. John’s in 1709, but the British quickly reoccupied it after the French abandoned it. What Did This Mean for Those Who Would Eventually Settle Lenox? 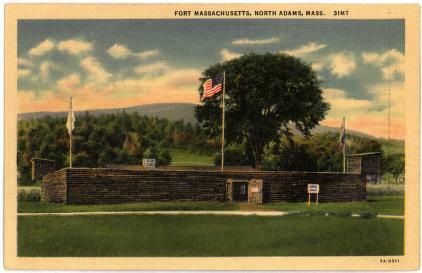 The burden of this war fell primarily on New England so it is possible some of our town founders’ grandfathers would have been involved in the numerous attempts to take Quebec or in capturing Acadia. Massachusetts broke the bank on the costs of this war (and it wasn’t the last time). Soldiers and suppliers were paid in paper money that had little value. 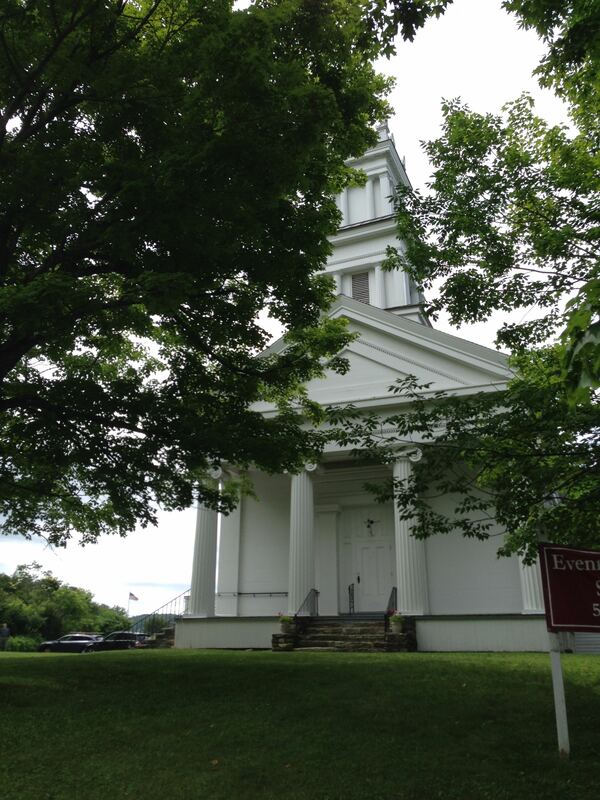 This may have hampered the families trying to finance expansion to new towns in Massachusetts. Nonetheless between the British troops that eventually participated and the outfitting of war vessels, the overall impact on the merchant economy was probably positive. The most important impact was the fear of raids that continued to shape the pattern of settlement. Although our town founders’ grandparents probably would have moved on from the coast by this time, they would have been inclined to stay close to existing towns and avoid northern or western Massachusetts. Hence, most of our town founders came from settlements along the southern Connecticut River. -Each conflict served to escalate resentments on both sides and provide tinder for future conflagration. 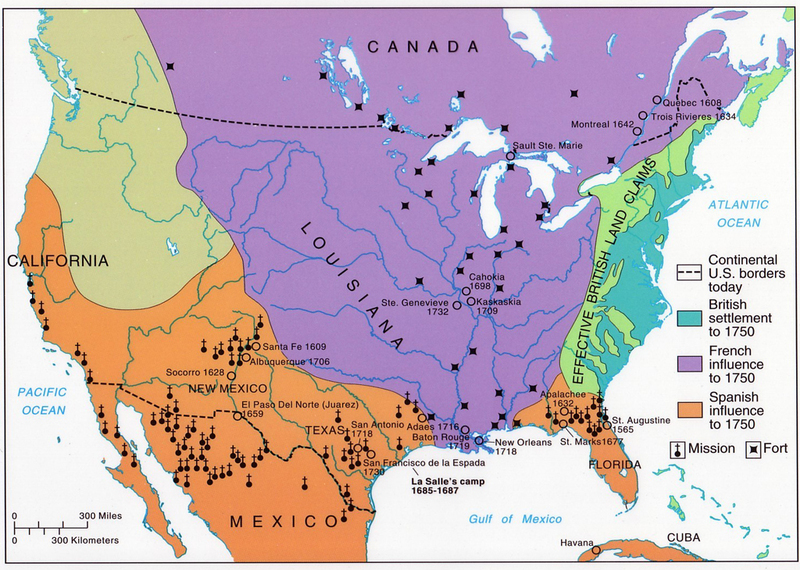 All four of the French and Indian Wars were fought before the settlement of Lenox. All four involved a European dynastic/balance of power war. The fourth (the one people may be thinking of when they say “French and Indian War”) was the one that was the most driven by Colonial issues and received the most support from the respective mother countries. In the earlier wars, the Colonials were largely on their own and an after thought to the European theatre (hence the reference below to “Intercolonial” wars. and the size of the color bars below.